In an decision that could dramatically change collection due process, the First Circuit Court of Appeals held that the standard of review applied to collection due process cases by the Tax Court for more than a decade is incorrect. In Dalton v. Commissioner, No. 11-2217P-01A (1st Cir. June 20, 2012), the First Circuit Court of Appeals reviewed a division opinion of the Tax Court which found that the IRS Office of Appeals abused its discretion when it sustained a collection action based on an incorrect application of the law. The First Circuit reversed the Tax Court on the basis that it applied an “improper standard of review” with respect to the Office of Appeals determination. The First Circuit held that the Tax Court’s review is limited to whether the Office of Appeals’ determination was “reasonable,” not necessarily whether or not it was correct. abuse of discretion. Sego, at 610. The Tax Court applied the second prong of Sego finding an abuse of discretion in the Appeals Officer’s incorrect application of the law. The underlying legal question was whether or not petitioners owned property held in a trust and which body of law, state, federal or both, should be applied to answer that question. constitutes an abuse of the IRS’s wide discretion. The First Circuit, by Senior Judge Seyla, explained that a more deferential standard of review was “consistent with the nature and purpose of the CDP process” and that the question for the reviewing court was not the correctness, or not, of the determination but rather whether the determination “falls within the universe of reasonable outcomes.” The Court further explained that regardless of whether the Appeals determination was based on a factual finding, a legal question, or a mixed question of law and fact, the reviewing Court’s role was only to evaluate the reasonableness of the determination. The First Circuit’s opinion is the fourth milepost in petitioners’ legal saga since their first encounter with the IRS Office of Appeals. In 2006, petitioners requested review of their collection due process determination when the Appeals Officer rejected their offer in compromise. Respondent moved for summary judgment. Petitioners’ responded maintaining that their offer in compromise should have been accepted because there was doubt as to the collectibility of tax and the appeals officer erred by attributing assets to petitioners that they did not own. The Tax Court denied respondent’s motion in a memorandum decision and remanded the case to Appeals for a redetermination on the applicable law. Dalton v. Commissioner, T.C. Memo. 2008-165. Following the second review by the Appeals Officer, the case returned to the Tax Court on petitioners’ motion for summary judgment. The IRS filed a response to petitioner’s motion for summary judgment and lodged a second motion for summary judgment. In the reviewed opinion noted above, the Tax Court found that the Office of Appeals’ decision to continue with the collection action was an abuse of discretion because the Appeals Officer rejected petitioners’ offer in compromise on erroneous legal grounds. Dalton v. Commissioner, 135 T.C. 393 (2010). 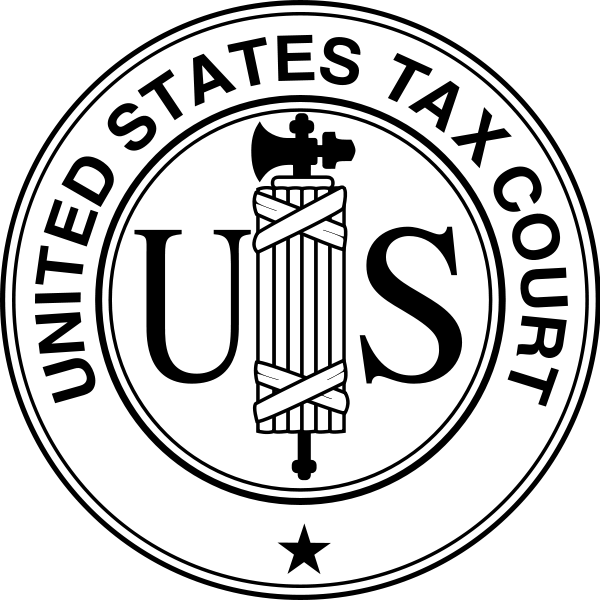 The Dalton’s final encounter in the Tax Court resulted in a memorandum opinion awarding them legal fees. Dalton v. Commissioner, T.C. Memo. 2011-136. All three decisions in favor of the Dalton’s were reversed by the First Circuit. The Tax Court rejected a pro se taxpayer’s deduction for the contribution of a facade easement on the government’s motion for summary judgment. The court found in favor of respondent as a matter law based on its decision in Kaufman v. Commissioner, 134 T.C. 182 (2010). Kaufman held that where the subordination agreement to the mortgagee under the easement does not grant the donee a priority interest in the distribution of proceeds upon involuntary conversion or foreclosure, then the easement fails the perpetuity requirement of Treas. Reg. Sec. 170A-14(g)(6). Kaufman was reheard on a motion for reconsideration with the same result, 136 T.C. No. 13, and currently is under appeal to the 1st Circuit Court of Appeals. In a final note on this decision, the respondent conceded penalties in its motion for summary judgment, which would have required a trial to satisfy the government’s burden of proof, in order to meet the requirement for summary judgment under Tax Ct. R. 121 that no material facts are in dispute. 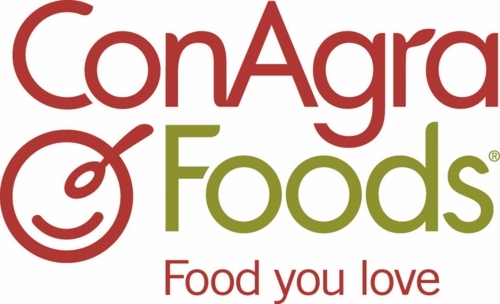 The West Virginia Supreme Court of Appeals held that the licensing of intangible trademarks and trade names by ConAgra into West Virginia did not subject ConAgra to corporate income tax. In sustaining the opinion of the state circuit court, which overturned the Board of Tax Appeals finding in favor of the commissioner, West Virginia’s highest court made some interesting observations for students of economic nexus. 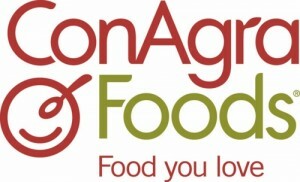 The court’s ultimate holding was based on the determination that ConAgra, through its wholly-owned intangible holding corporation, did not engage in “purposeful direction” under the Due Process Clause or establish “significant economic presence” under the Commerce Clause by use of its trademarks and trade names in West Virginia. The court arrived at that conclusion after making these interesting observations. The court did not overrule but rather chose to distinguish its holding in Tax Commissioner v. MBNA America Bank, 220 W.Va. 163, 640 S.E.2d 226 (2006), cert. denied, 551 U.S. 1141, 127 S.Ct. 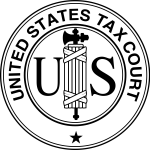 2997, 168 L.Ed.2d 719 (2007), which held that MBNA America’s use of trademarks in West Virginia established income tax nexus. The court distinguished MBNA on the grounds that ConAgra did not engage in the same “systemic and continuous” direct mail and telephone solicitation in West Virginia that characterized MBNA’s activities there. Finally, the court distinguished the economic nexus theories established by other jurisdictions. It rejected South Carolina’s famous economic nexus analysis in Geoffrey, Inc. v. South Carolina Tax Commission, 437 S.E.2d 13 (S.C.), cert. denied, 510 U.S. 992, 114 S.Ct. 550, 126 L.Ed.2d 451 (1993). It also denied application of the more recent economic nexus formulation set out in Iowa forth by KFC Corporation v. Iowa Department of Revenue, 792 N.W.2d 308 (Iowa 2010), cert. denied, _ U.S. _ , 132 S.Ct. 97, 181 L.Ed.2d 26 (2011). The case came to the Court on petitioners’ motion for partial summary judgment and respondent’s motion for partial summary judgment on the issue of whether petitioners obtained a qualified appraisal in connection with their charitable deduction for the donation of a facade easement in 2004. The petitioners donated an open space and architectural facade easement to the National Architectural Trust (NAT) on their home in Brooklyn, New York. The petitioners hired a New York real estate appraisal firm to appraise the property and the easement. The appraiser used the before and after method to determine the easement’s fair market value. He estimated the value of the property before the easement to be $2.6 million by comparing five sales of similar properties in the area. Similar to Scheidelman, the appraiser was unable to identify sales of comparable eased properties to determine the after value of the property, so he cited historical precedence to reduce the subject property’s before value by 11.15%. Thus, the appraisal valued the petitioners’ facade easement at $290,000. The petitioners claimed a noncash charitable deduction of $247,010 on their 2004 Federal income tax return and an excess charitable contribution carryover of $42,990 on their 2005 Federal income tax return. The Court noted that the appraisal presented by petitioners was “identical in all material respects, including the typographical errors, to the one petitioners obtained.” Citing Scheidelman, the Court rejected the appraiser’s argument that applying a percentage to a property’s before provided a method or specific basis for determining a property’s after value. The Court also questioned the appraiser’s interpretation and reliance on the decision in Hillborn v. Commissioner, 85 T.C. 677, to grant a general 10% rule for facade easement donations. Instead, the Court held that the easement’s terms and covenants must be analyzed individually and collectively and compared to existing zoning restrictions to estimate the extent to which the easement affects the property’s fair market value. The Court found that the appraisal language, identical to Scheidelman, failed to explain how the specific attributes of the property led to the value determined in the appraisal. The Court held that the appraisal was not a qualified appraisal because it failed to include a valuation method or specific basis for the value of the easement determined as required under Treas. Reg. §§ 1.170A-13(c)(3)(J) and (K). The Tax Court found that shareholders in two related S corporations may receive a distribution of intangible assets from one of their S corporations and contribute those assets into another one of their S corporations in order to increase their basis in the latter entity and realize the losses generated by that entity. The court followed its opinions in Ruckriegel v. Commissioner, T.C. Memo. 2006-78; Yates v.
The Court noted that “so long as the underlying distributions and contributions actually occurred” it was of no consequence that the petitioner’s actions may have been motivated by tax considerations. A recent Tax Court opinion offers two new elements for consideration when making a charitable donation of a conservation easement under Section 170. In Mitchell v. Commissioner, the Tax Court denied taxpayer’s deduction for the charitable contribution of a qualified conservation easement. The court found that where a mortgage subordination agreement is not in place at the time of the donation, the subordination requirement of the regulations has not been satisfied. The court also ruled that the so-remote-as-to-be-negligible standard of Treas. Reg. Sec. 1.170A-14(g)(3) does not to apply to determine whether a donation has satisfied the requirements of Treas. Reg. Sec. 1.170A-14(g)(2) (subordination of the easement).